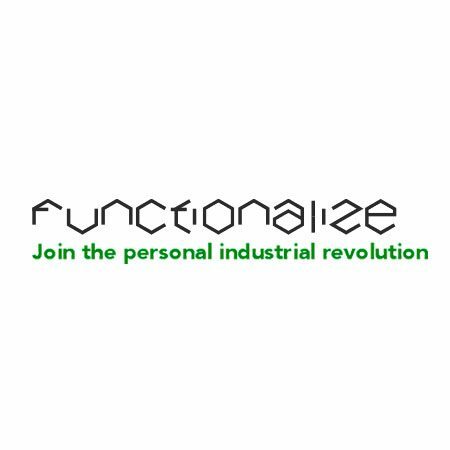 From research to manufacture, Functionalize is focused on bringing you breakthrough functional materials, starting with Functionalize F-Electric®, for 3D printing and other uses to come.Our flagship product is a breakthrough in 3D printing filament. Developed using Functionalize new patent-pending nano-materials production process, it’s the most electrically conductive filament. It’s the first thermoplastic material that enables you to 3D print complete electrical circuits, sockets, switches, buttons and connectors, directly into your 3D printed structures.With Functionalize materials, the promise of 3D printing electronic or electromechanical functional objects directly on a personal 3D printer becomes a reality, and we believe a major leap forward in the Personal Industrial Revolution.